Persian is an old Indo-Iranian language in the larger family of Indo-European languages which includes Hindi, English, Urdu, French, Russian, Spanish, German, etc. Today it is the official language of Iran (Persia), Afghanistan, and Tajikistan. Throughout Middle East’s history Persian has been a very important language. It was an official language of the Ottoman government (1453-1920). This meant that Persian documents were used to carry out official government business throughout Ottoman territory, from Morocco to Palestine, to Greece, Albania, and Budapest. Going back further, Persian merchants founded the city of Kilwa in Zanzibar (today’s Tanzania), around 950AD (more than 1050 years ago). There have always been Persian speaking communities on the Arabian Peninsula all the way to Yemen. There have been poets writing in Persian in Northern India for centuries. And today there are Persian communities in many other parts of the globe including in Los Angeles. I- Old Persian: Avestan (Avestai). It was very similar to Sanskrit (ancient language of India). It was used to write the Avesta, the holy book of the Zoroastrian religion (Iran’s dominant religion before Islam). It was the language of the Hakhamaneshid, the Persian Empire of Cyrus and Darius. That empire came to an end with the Greek invasions led by Alexander the Great in 330 BC (2335 years ago). II- Middle Persian: Pahlavi, the language of the Sassanid Empire (AD 226-641). It was also spoken in Central Asia, and in Chinese Turkestan. It was used to write texts in Zaratostrian, Christian, Buddhist, traditions. The Sassanid Empire came to an end with the Arabic invasions of 641 AD. III- Modern Persian: It is an evolved form of Pahlavi, written with the Arabic alphabet. Modern Persian has existed in its present form since the 9th Century. It has a grammar more simplified than the Pahlavi, just as Italian is said to be a simplified form of Latin. Modern Persian became richer by absorbing a vast amount of Arabic vocabulary. What are the main dialects of Persian today? Today Persian is spoken in a wide geographic area extending from Southern Iraq to Bahrein, to Iran, to Afghanistan, to Pakistan, to parts of Southern Iraq, to Tajikistan in Central Asia. Just as English comes in many flavors and dialects (British, American, Australian, South African, Jamaican, and Scottish), there are different flavors for Persian. For some unknown reason many publications in the West have decided to refer to these dialects of Persian as Farsi, Dari, Tajiki, etc. Therefore, there is general confusion in most people’s mind about these languages. In reality these are all the same language. 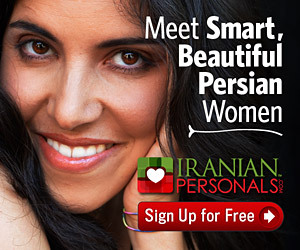 They are all Persian. Today a Tajik, an Afghan, and an Iranian from Shiraz can communicate perfectly well, just as an Austrian and a German from Hamburg can communicate. * Persian (also known as Farsi): includes a large group of dialects: Qazvini, Mahallati, Hamadani, Kashani, Isfahani, Sedehi, Kermani, Araki, Shirazi, Jahromi, Shahrudi, Kazeruni, Mashadi (Meshed), Basseri, Teimuri (Mazanderan), Alviri (Saveh), Ashtiani (Tafresh). Also spoken in parts of Iraq, and many Persian Gulf states. * Tajiki (dialect in Tajikistan): Also spoken in Kazakhstan, Kyrgyzstan, Russia, Turkmenistan, Ukraine, Uzbekistan. They use Cyrillic alphabet (as in Russian). Literary modern Persian is virtually identical in Iran and Afghanistan, with very minor lexical differences. It is also surprisingly similar to the language of Rumi (who lived in the 13th Century). Many pop songs in today’s Iran use the poetry of Rumi as their lyrics and are perfectly understood by most people. It is hard to imagine an English pop song today using the lyrics of Shakespeare. What other languages are spoken in Iran (Persia) today? What did the Pahlavi regime do to Iran’s languages? Persian is Iran’s most common language. In Iran there are also other rich languages. A military officer, Reza Khan Mir-Panj, who took over Persia through a military coup and declared himself king in 1925 and changed his last name to the more grandiose Pahlavi (Middle Persian). His son, Mohammad Reza (aka the Shah), also staged a coup in 1953 and in an effort to strengthen his dictatorship, he banned Iran’s other languages, Azeri, Turkoman, Beluchi, Arabic, Kurdish, Lori, and Gilaki. Hence the strange irony: English and French daily newspapers were published in Iran (Tehran Journal and Keyhan International), but it was illegal to publish a book in Azeri, the language spoken by more than 25% of Iranians. To promote this policy, all those caught with books in Kurdish or Azeri were regularly jailed and beaten up. These languages were referred to as “accents” (lahjeh). The most stable country in Europe has been Switzerland. In Switzerland, they recognize at least three languages: Swiss German, French, and Italian. To be united, we don’t have to destroy the cultural life of our ethnic minorities. What are the most widely spoken languages in the world today? There are more than 6,000 languages spoken in the world today. Here are the numbers on the number of people speaking the top languages. Persian is one of the top 20 languages spoken in the world today. What Persian words are used in English? English words of Persian origin include shawl, pajama, taffeta, khaki, kiosk, divan, lilac, jasmine, julep, jackal, caravan, bazaar, dervish, baksheesh, and satrap. What language is Persian grammar most similar to? Persian is similar to the other Indo-Iranian languages: Gilaki, Mazandarani, Kurdish, Urdu, and Hindi. Persian has its roots in the larger Indo-European family of languages. The grammar of a language is like the skeleton of a building. Persian grammar resembles that of Russian, Lithuanian, Spanish, and English. To say you, in Persian we say to, in Russian ti, in French and Spanish, tu, and in German, du. Outside the Indo-Iranian family, the nearest group is the Balto-Slavic family. This family includes Lithuanian and Russian. The grammar of these languages and the roots of many words, are quite similar to Persian. What role did Arabic play in the evolution of Persian? The Arabic language played an extremely important role in Persia’s intellectual history since the Arabic invasion of 640’s AD. During the Islamic Empire, most Persian intellectuals wrote most of their important works in Arabic. Biruni, Farabi, Ibn-Sina (Avicenna), Ghazzali, Razi, wrote most of their works in Arabic. The first systematic book of study of Arabic language was done by a Persian, Sibovaih. Mowlana Rumi and Saadi wrote a portion of their works in Arabic, in the same way as Pakistani poets some time use Persian verses, and in the same way as Mozart wrote Operettas in Italian. From 7th to 13th Century AD, Arabic was the lingua franca that connected intellectuals together across a large geographic and historic span from Spain to Afghanistan. It has been a tradition in most countries’ history for intellectuals and governments to utilize different languages as the masses of the people. That is why in the Ottoman Empire (1453-1920) they used Persian and Greek as the main official languages. In Russia in 19th Century they used French as the language of the court. In the Safavid period in Persia they used Azeri Turkish as the official language of the court. Why is there a large amount of Arabic vocabulary in Persian? English, a Germanic language at its base, became a half Latin language in its vocabulary, because of Roman and French invasions of the last 2000 years. A large body of English vocabulary is Latin based (Ex: frequently, politics, society, accounting, linguistics). A similar phenomenon occurred in Iran. After the Arab invasions of the seventh century, Persian, an Indo-European language at its base, absorbed a large body of Arabic vocabulary later. Later on it absorbed vocabulary from other languages, namely Turkish, Russian (Ex: benzin, tormoz, zapass, sukhari, stakan), and French (Ex: merci, puree, autobus). English took in a huge influx of Latin and French vocabulary about 1000 years ago. Spanish took in thousands of Arabic words during the Islamic invasion about 1300 years ago. Urdu absorbed thousands of Persian words in the last 1000 years. This process made these languages generally richer. Some of this exchange of vocabulary is inevitable. When we talk of computers, we use many English words because the history of computing is extremely fast paced and development is generally done in English world-wide. In today’s technologic revolution, new items hit the market at such a rapid pace that it’s impossible to come up with a Persian equivalent for every one of them with the same pace. Instead, we will have to focus our resources on developing actual new ideas as the Japanese do. This is similar to the development of philosophy and poetry that took place during the Islamic Empire. At that time, Persian writers wrote in Arabic, because it was the language that united them with Spanish, Moroccan, Algerian, Iraqi, and Lebanese philosophers. In fact Arabic became so important, many European intellectuals of the pre-Renaissance period learned philosophy by reading material translated from Arabic. Was the Arabic invasion of Persia in 640 good or bad? It is hard to make sweeping judgment about an event that took place close to 1400 years ago. The Arabs did invade Persia in 640 AD. There were other invasions before and after. Alexander invaded Persia in 330 BC. The Mongols came in the 12th Century AD. There is a vulgar view of Persian history that claims all was well in Iran until the Arabs came with their Islam. The problem is the Persian Empire of the Sassanids was on its way to decay by 640 AD. Otherwise the Arab tribes could not have brought it down. The Sassanid Empire was based on a caste system. That meant that if a peasant or a blacksmith wanted his child to learn to read and write he could get punished by death. Moreover, the Arab world today consists of at least 22 countries. All of them except for the Arabian Peninsula became Arab countries after the Islamic invasions. Many adopted the Arab language years after Persia adopted Islam. Persian literature became more dynamic after the fall of Sassanides. Saadi, Hafez, Ferdowsi, Omar Khayyam, and Rumi all came after the fall of the Sassanides. Most of these writers took pride in writing extremely eloquent verses in Arabic as well as Persian, their new Persian, the one blended with Arabic, the one we speak today. In the Persian Empire of the Sassanid period there was a caste system in Persia. Therefore, it was next to impossible for people from lower or middle classes to engage in learning of the sciences. What would the great Persian poet, Rumi, have said about the Arabs and the Turks? Is it good to try to write in Persian by using less Arabic words? The history of the world is one long history of perpetual mixing of races, languages, cultures, immigrants, and peoples. That evolution is constant. Those who try to stop that may as well be trying to stop the motions of the planets. Those who want to undo the influence of Arabic language in Persian by using an older Persian, are trying to undo 1300 years of history. This is six times the history of the United States. History is full of examples of entire nations changing their religions, first by force, but then by consent. That was how Europeans became Christians, first by force and then by consent. If today a European talked about using pre-Latin words or pre-Christian religions, he/she would not be taken seriously. Each and every language today carries with it an amalgamation of layers upon layers of words from many other languages and cultures. Modern English is 30% Latin (because of the French invasion), modern Spanish has thousands of Arabic words (because of the Islamic invasion), and modern Turkish and Persian both have 30-40% Arabic. The Islamic empire was at some point a very rich civilization, because it brought together many nationalities under one cultural and communication system. Avicenna (Abu Ali Sina), and Averroes (Ibn-e Rushd, from Spain), and Rases (Mohammad Razi), all wrote their major works in Arabic, not because they were forced to, but because Arabic was a powerful language that bound them all together, just as English does today. Without knowledge of Arabic, Ibn-e Rushd from Spain wouldn’t have been able to read books from Iraq, or Iran. This is the role English plays in today’s world. Arabic influence over Persian made it richer. What role did Ferdowsi play in the evolution of modern Persian? Abul-Ghassem Ferdowsi Toussi (940-1020) was one of the greatest poets of the Persian language. He was Persia’s Homer. He wrote the Shahnameh, the Book of Kings: the history of the Persian Empire prior to Islam. The writing of the Shahnameh was partly sponsored by Sultan Mahmoud Ghaznavi, a Turkish king. Ferdowsi’s Shahnameh is similar to the Greek poet, Homer’s Iliad and Odyssey. It is a legendary history of Persian Kings from mythical times up to the Sassanid period. The work had been researched and translated by Abu-Mansouri from Middle-Persian (Pahlavi) to Modern Persian. Ferdowsi rewrote the work in epic poetic form, of 60,000 verses. Ferdowsi had been promised a Dirham for every verse in the Shahnameh by Sultan Mahmoud. The Shahnameh was completed in 1010 AD (close to 1000 years ago). Ferdowsi was not paid the amount he had been promised by Sultan Mahmoud. Like many worldly artists before and after him, Ferdowsi died a bitter man. To gain insights into an intellectual’s complicated relation with authorities see Amadeus, a masterpiece of world cinema about Mozart, directed by Milosz Forman. Why was the promise to Ferdowsi not honored? Some say other scholars in the court were not happy with Ferdowsi’s views. The Shahnameh was not a book of simple hagiography, of lavishing idiotic praise upon kings. Ferdowsi was a great man. Ferdowsi was not a monarchist. He wrote about the kings, because the kings ruled Persia. Ferdowsi praised some kings and criticized others, just as the English dramatist, Shakespeare did 600 years later. In the Shahnameh, Ferdowsi also praised the egalitarian communistic movement of Mazdak (during the Sassanid reign, in the year of 494 AD). Could it be that Ferdowsi was ex-communicated because of his views? Some have considered the Shahnameh the foundation of Iranian culture. That is an extreme view. Why is it a foundation of Iranian culture to learn the mostly fictionalized accounts of mad power hungry kings than to study the philosophy elaborated by Rumi, or the wisdom of Saadi, or the love poetry of Hafez, or the works of chemistry of Razi, or the works of history by Nezami, or the Rubayyat of Khayyam? Persian history is very rich and multi-faceted. If you are a religious fundamentalist, you may prefer the Koran, if you think Iran should become a modern industrial nation, you may consider Raazi and Ibn-e Sina and their works in chemistry and medicine to be our foundation. If you are a socialist you may consider Mazdak. If you want to enjoy love you may go for Hafez. If you prefer laughter, you may go for Zakani’s satire. It is absurd to ignore all of that and make romantic claims about the Shahmaneh. The Shahnameh is a great book. But no single book can be the foundation of any civilization. It is true that Ferdowsi used very little Arabic in his writing of the Shahnameh. But no serious man/woman would claim that Ibn-e Sina or Saadi who wrote great works in Arabic did a disservice to Persia. It was not Ferdowsi who preserved Modern Persian. The language of Persian could thrive due to the efforts of millions of working people throughout its history. There have been many other great works and masterpieces created in the rich history of Persian. Ferdowsi, Omar Khayyam, Rumi (Mowlana Mohammad Jalaluddin Rumi), Saadi, Hafez, and Shamloo were all great poets of the Persian language.